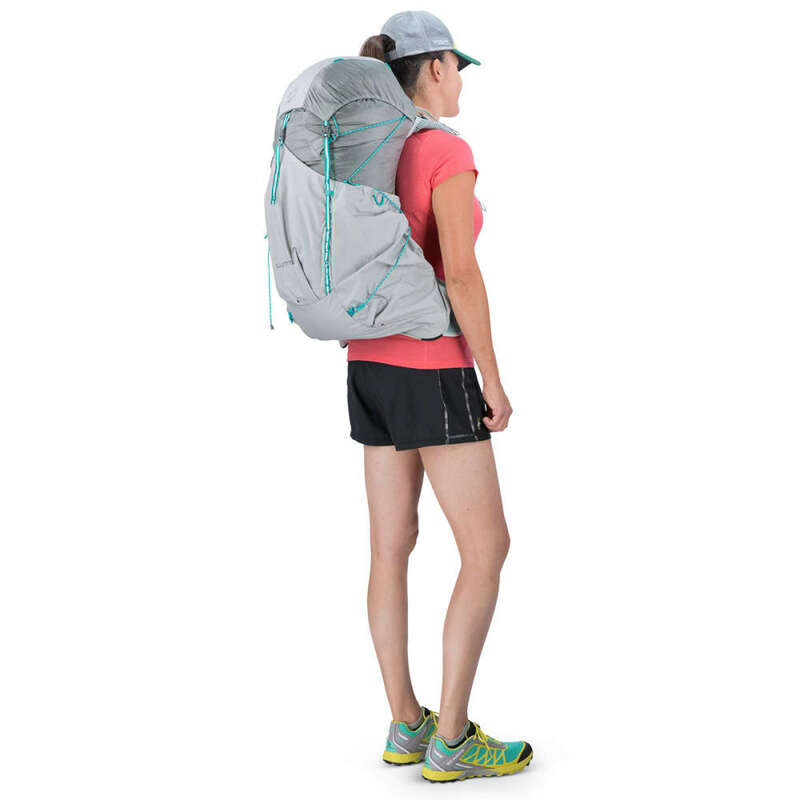 The Osprey Lumina 45 is the most comfortable and ventilated women's-specific pack ever made for the lightest loads imaginable. 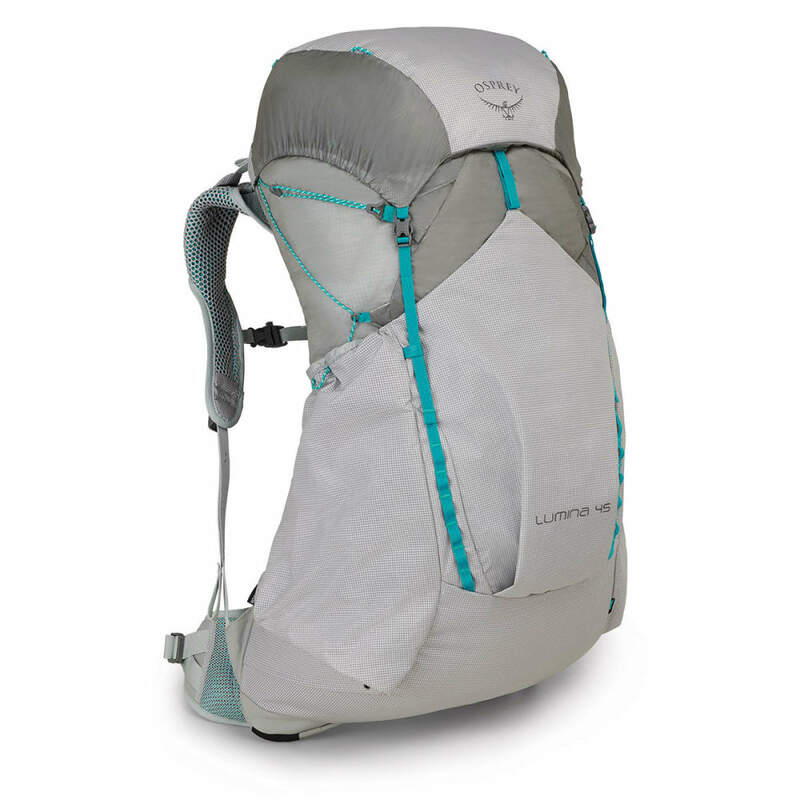 It's perfect for streamlined weekends or committing thru-hikes. In fact, it's probably not the right pack for you. It's for people who pack lighter, go further, and think smarter. This pack isn't on Instagram, because phones are too heavy, and views look better in your mind anyway. But, if you are one of those maniacal gram-counters, look no further. 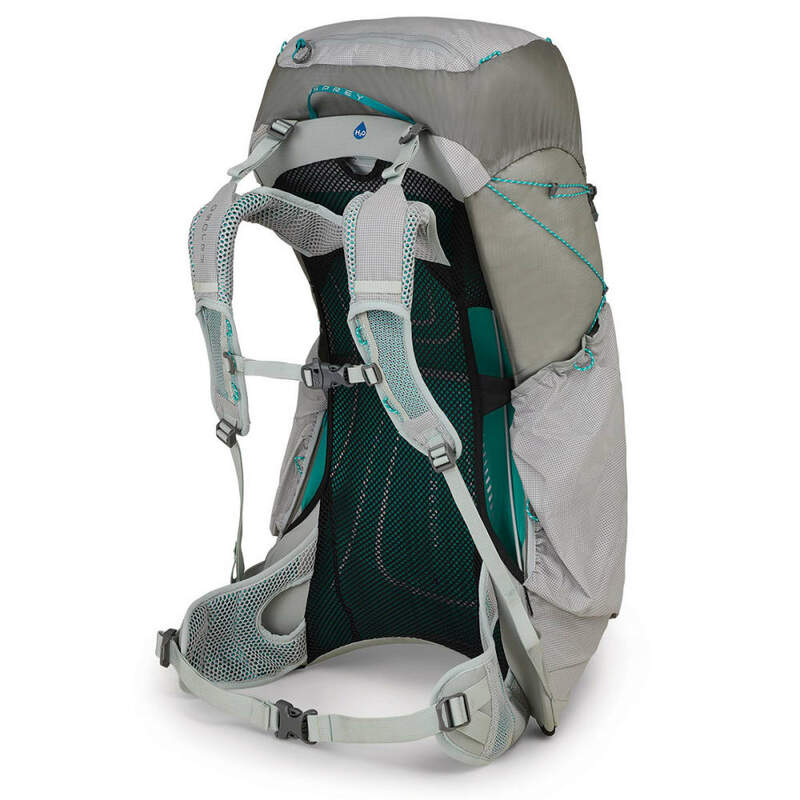 Reliably Durable: By integrating complimentary high-performing fabrics, Osprey ensures this series??? scant weight is matched with incredible durability for adventures that last weeks, months, or more. Overnights And Thru Hikes: Superultralight isn?? ?t only for thru-hikes, and everyone from driven youthful athletes to reminiscing boomers will appreciate what carrying less can do for their experience, no matter the duration. A Yarn To Tell: NanoFly??? fabric integrates ultra-high-molecular-weight polyethylene (UHMWPE) ripstop and Cordura Nylon, creating an incredibly light fabric with remarkable abrasion resistance. WXS: 24.41H X 15.75W X 12.2D in. WS: 24.8H X 15.75W X 12.2D in. WM: 26.77H X 15.75W X 12.2D in. Dimensions: WXS: 24.41H X 15.75W X 12.2D in. ; WS: 24.8H X 15.75W X 12.2D in. ; WM: 26.77H X 15.75W X 12.2D in. Torso Length: WXS: 15-17 in. ; WS: 16-19 in. ; WM: 18-21 in. Weight: WXS: 1.715 lbs. ; WS: 1.786 lbs. ; WM: 1.85 lbs.